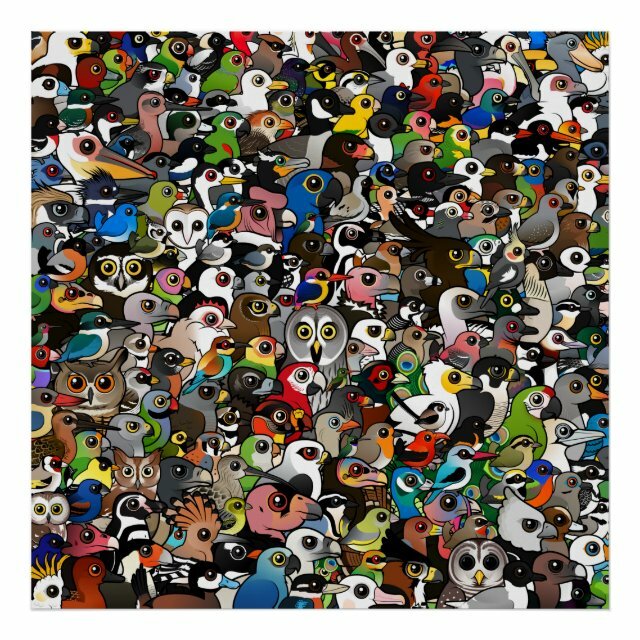 This fun image is a huge jumble of Birdorable birds! Can you find your favorite? Birds from all over the world are represented in this wild, colorful original Birdorable collage. The full square image contains over 250 birds. You can customize this poster! Move the design around, change the size or shape of poster, add your own text -- make it your own!